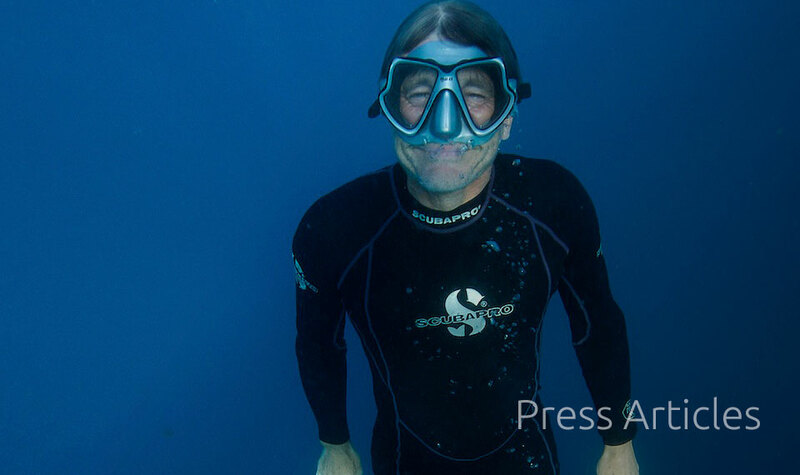 In this interview with Earthwatch, Paul reveals what started it all for him and why he is so determined for us all to learn, understand and protect our oceans. Explorer and expedition leader Paul Rose is currently hitting our TV screens in the exciting BBC TV series, Oceans. Paul, whose action-packed CV would put most desk-bound mortals to shame, is an Earthwatch ambassador. 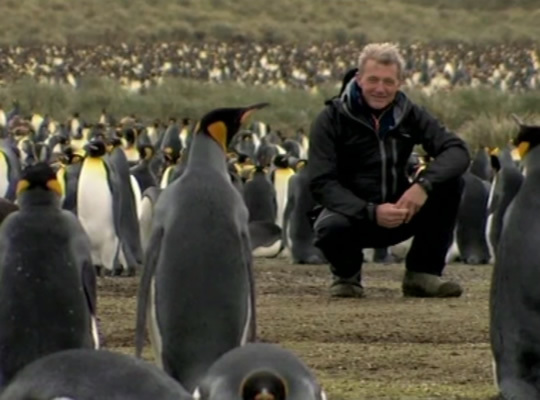 As well as appearing regularly on radio and television, Paul is well known as the former base commander of Rothera Research Station, Antarctica, where he worked for 10 years for the British Antarctic Survey. An experienced and popular public speaker, Paul is also a polar guide, professional diver and instructor, mountaineer, and yacht skipper. Between 1999 and 2002 he was Vice President and Chair of the Expeditions and Fieldwork Division at the Royal Geographical Society. When and how did your interest in the great outdoors begin and where did you grow up? I grew up in Elm Park, Essex and was generally hopeless at school. I remember the early 1960s when my life's heroes were in their prime; Hans Haas was using military diving gear to film his fabulous shark documentaries; Mike Nelson was up to his neck in Sea Hunt adventures saving downed jet pilots, and beautiful women were hiring Mike for diving lessons; and Jacques Cousteau had invented SCUBA diving, written the Silent World and was exploring the world's seas on the ultimate diving expedition on Calypso. How did you get involved in diving and exploration? When I was in secondary school, my geography teacher stepped outside of the classroom and all the horrors that it held for me, and took the class out to the Brecon Beacons. It was truly inspirational. At last things were making sense to me; if I wanted to use a map and compass, then I needed maths. If I wanted to understand the map and the ground, then I needed to think about geography. I shall never forget how alive and in-tune with Nature I felt during those days peeling spuds at the Merthyr Tydfil Youth Hostel after a day in the hills. What fascinates you about the ocean in particular? The sense of the vast unexplored space. The oceans contain over 99 per cent of the living space on the planet. Scientists estimate that there are at least a million new species to be discovered in the deep oceans. A new species is discovered during almost every deep sea dive. Oceans cover 71 per cent of our planet and if the land heights and oceans depths were averaged out, the land would be 800 metres high and the oceans would still be 3,800 metres deep. It's a vast, almost immeasurable space and less than 10 per cent has been explored by man. What are your concerns for the future of our ocean life and despite these concerns, do you remain optimistic? I have seen unbelievable damage to our beautiful oceans - hazardous waste dumping, reef damage by resorts and huge floating islands of rubbish far out to sea. But I have also seen simple, brilliant ideas by marine scientists that can help coral re-grow and big steps forward across the world in the way we are learning to respect the oceans. There are now more than six billion of us - we have become a true force of nature. As more people become aware of our impact on the planet we will become even more aware and effective in its protection. What are your most vivid memories from your time as base commander of Rothera Research Station? It was a total privilege to be the Base Commander of Rothera Research Station. Every season my team consisted of the world's best scientists, or young scientists with the world's best behind them. And my operational support team were the best in the world. What climatic/environmental changes did you notice during the 10 years you were based in Antarctica? I remember being at Rothera and getting a message from BASHQ that they had spotted something odd on the Antarctic Peninsula satellite image. I flew up there with a team of scientists and we saw that the Larsen B ice-shelf had drifted off the Peninsula. I still have the picture I took and it's a reminder of our warming planet. What are your most memorable experiences from the filming of the Oceans series? As the expedition leader, it's most memorable that we all believed totally in the enterprise. It's the essential element of any expedition - you really do hope that everyone can believe in it so much that any discomfort, fear, cold, heat, bad food, sickness, general personal hardship takes second place to the safety and success of the expedition. Personally, it was diving the Black Hole of Andros, diving with a six-gill shark and finding a new species of amphipod while diving under the Arctic ice. What do you like about Earthwatch and the work that Earthwatch is doing to increase our understanding of ocean life? Earthwatch makes earth sciences totally accessible. If anyone should ever doubt the value of field work or the importance of inspiring and encouraging the next generation by understanding the planet - then they should just spend a few minutes with an Earthwatcher! 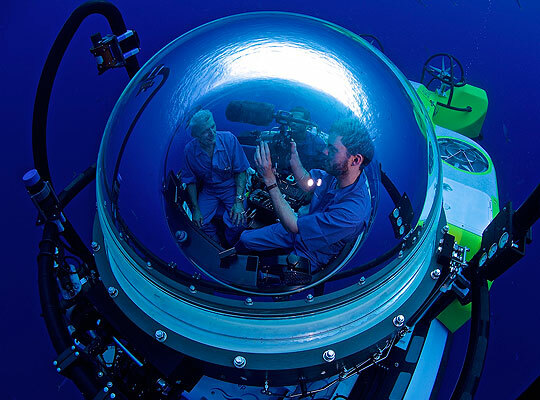 The Earthwatch Oceans Research Programme forms an essential arm of the field science programme and proves once again that Earthwatch is able to tackle the most ambitious of earth science targets! Which projects are you involved with at present? I'm working hard to help Earthwatch reach the £25,000 Oceans Appeal target by the end of the year! I have some new BBC television and book projects on the go and am getting ski-fit for the Norwegian Birkebiener ski race and the Svalbard ski race. Find out more about the Earthwatch Oceans Appeal.